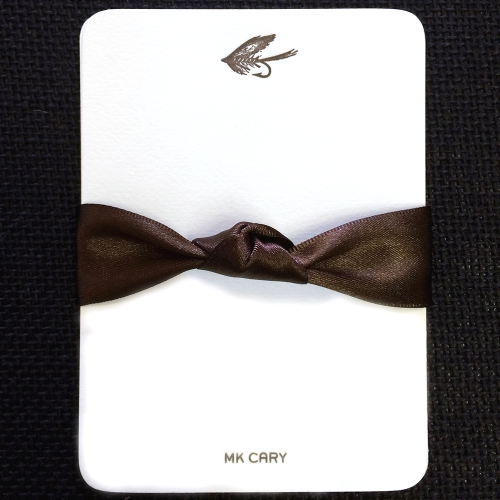 For that added touch: create a calling card with the bunny motif to include with your announcement or include our Bunny Petite Cards with a name or small note. 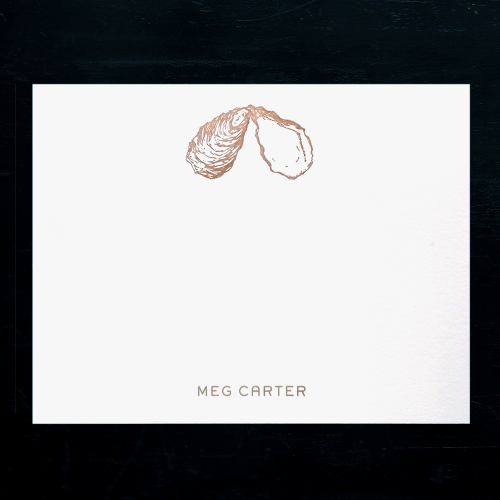 Our Oyster Note Cards are a favorite and now can be personalized. Original artwork by South Carolina artist Beverly Grantham Derrick for Ancesserie. 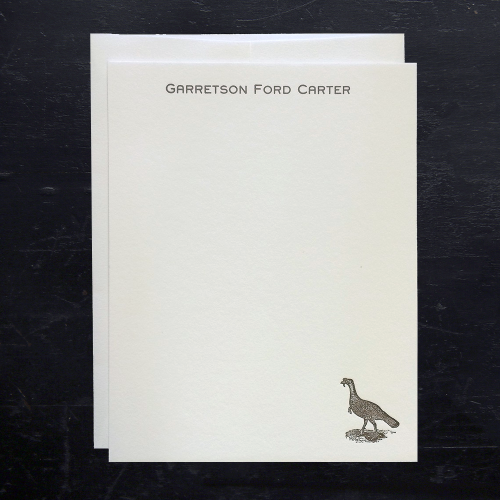 Boxed set of 24 flat notes: 4.25″ x 5.5″ , each individually printed on a vintage letterpress in biscuit ink on 100% cotton, 110 lb., pearl white card stock. Matching square flap envelopes. Hint: Pair with our oyster coasters for a lovely gift or starting point for your very own oyster roast. 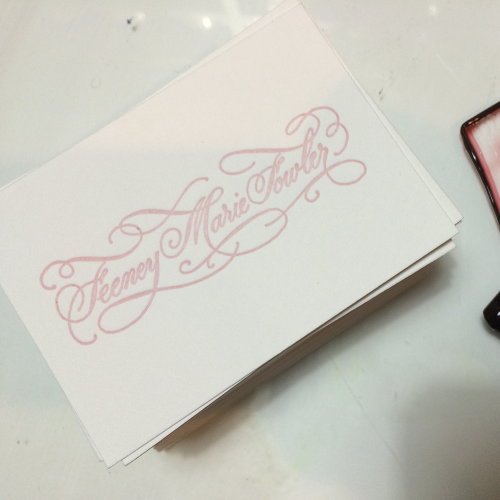 Flat Print personalization in matching ink color. The perfect size! With our Fishing Fly letterpress motif! 30 flat, Small Notes with matching square flap envelopes. 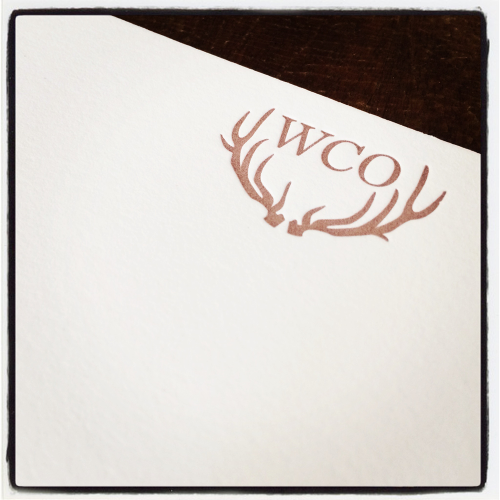 Size: 3 1/2″ x 5″ Each card individually printed on an antique letterpress in Cocoa Brown Ink. Hand rounded corners. 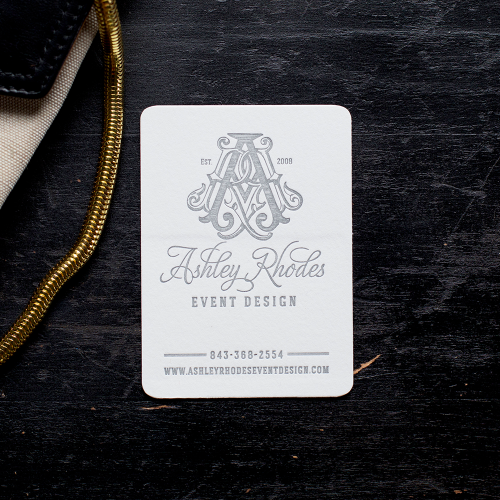 Luxurious, 100% cotton, 110 lb card stock in Pearl White with flat print personalization. An oxymoron. 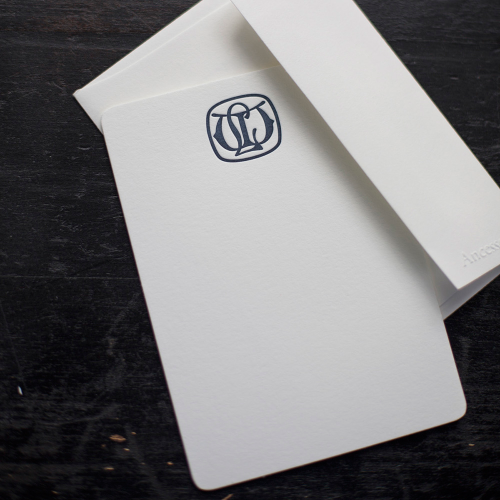 The merger of two worlds and two forms of communication on Crane’s luxurious 100% cotton heavyweight pearl white card stock. Circle your sentiment and write your note! 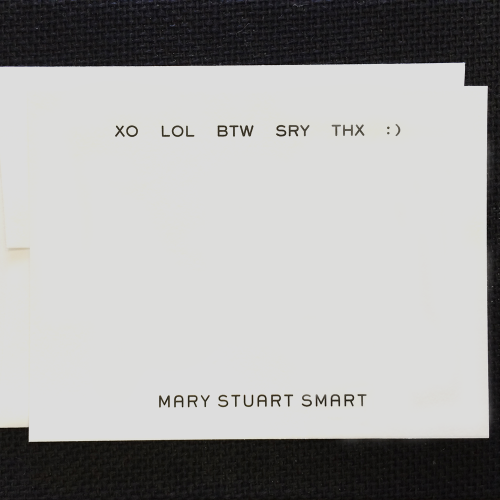 Boxed set of 24 notes, each letterpress printed with onyx ink in texting language: LOL(laugh out loud), BTW (by the way), SRY (sorry), THX(thanks), XO (a kiss and a hug) and 🙂 (happy smile). Have fun with this smart set! 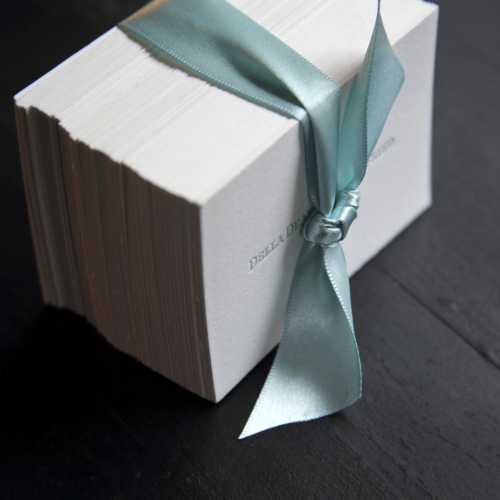 Each note measures 4 1/”2 x 5 1/2″ and comes with a matching pearl white envelope. This set arrives with flat print personalization. Edgefield is home to the National Wild Turkey Federation. Naturally, this early image of a wild turkey inspired our Wild Fowl Collection. 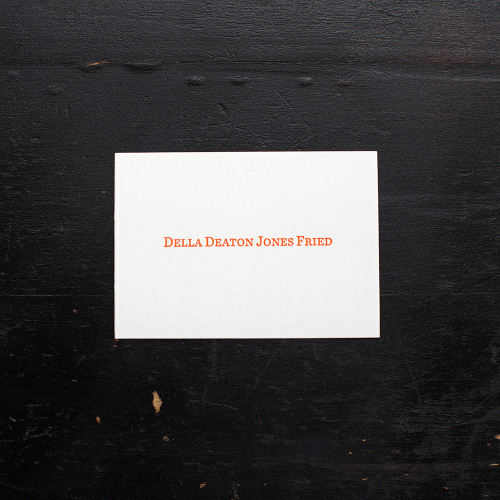 24 flat note cards distinguished by a luxurious, 100%, tree-free, cotton card stock. Each note individually letterpress printed in Autumn Brown ink on a pearl white,110# card stock with matching square flap envelope. 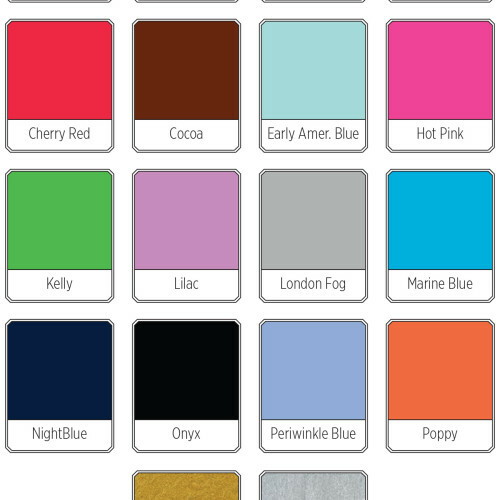 Notes measure 4 1/2″ x 5 1/2″ Flat Print personalization in matching PMS ink color. 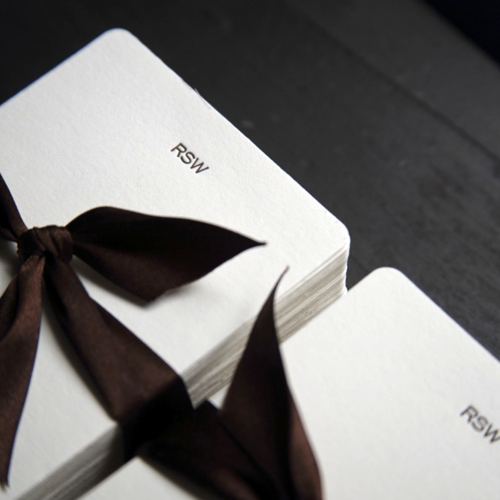 An elegant set of everyday notes. Suggestion: Pair with a set of our wild turkey coasters for an exceptional gift. A classic staple for your paper wardrobe: Custom Calling Cards, in a fresh array of colors, type faces and motifs. 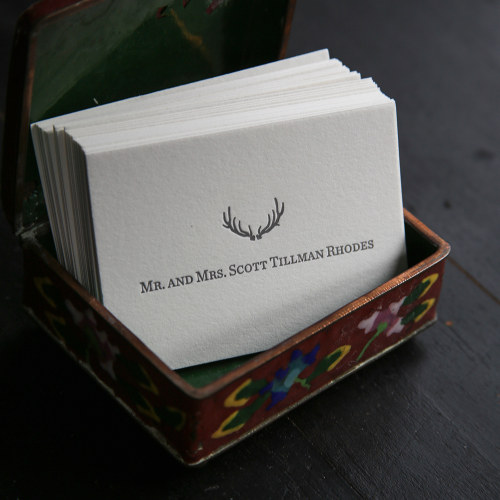 Generous European size: 2 1/2″ x 3 1/2″ Each card individually printed on an antique letterpress. 100% cotton, 110 lb card stock in Pearl White or Ecru. SCROLL THROUGH PHOTO EXAMPLES TO REACH INK COLOR AND TYPE STYLE SELECTIONS. Stunning! 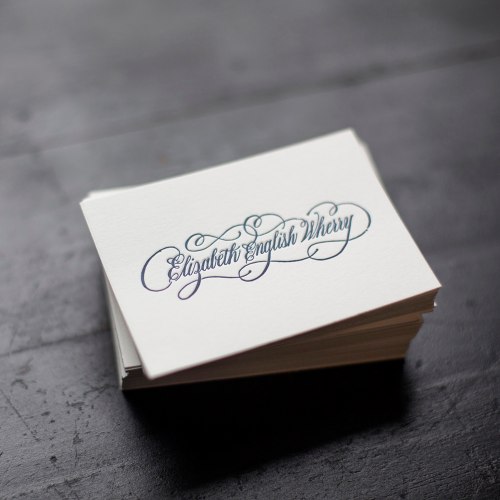 We have added yet another luxurious option in letterpress: Custom Calligraphy Calling Cards. 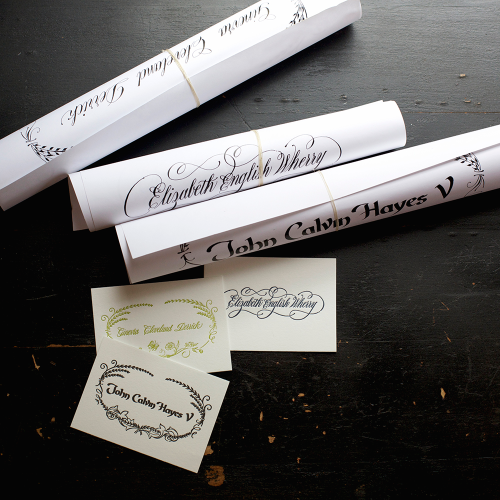 The process begins with the name you provide, which is then placed into the hands of our talented calligraphers. With pen, ink and nib of choice, years of training come to life. Each name develops its own natural characteristics depending on length, characters and the appropriate flourishings. The original artwork is then reduced in size, made into a plate, which is taken to our antique presses where we begin printing one piece at a time. The result is breathtaking, and you have the artwork forever! For reorders, for weddings, for any other product you may want to embellish with your flourished name. 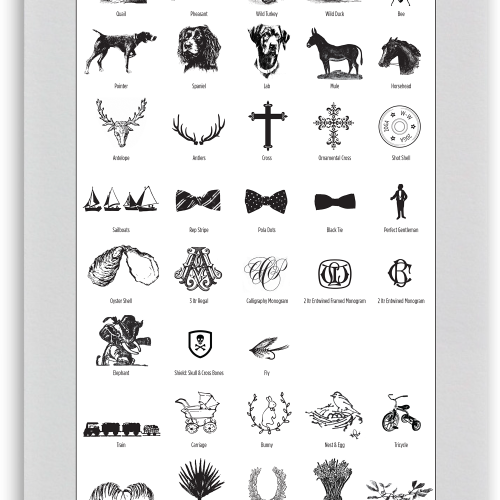 Generous European size: 2 1/2″ x 3 1/2″ 100% cotton, 110 lb card stock in Pearl White. Hint: Want these cards but have other artwork in mind? 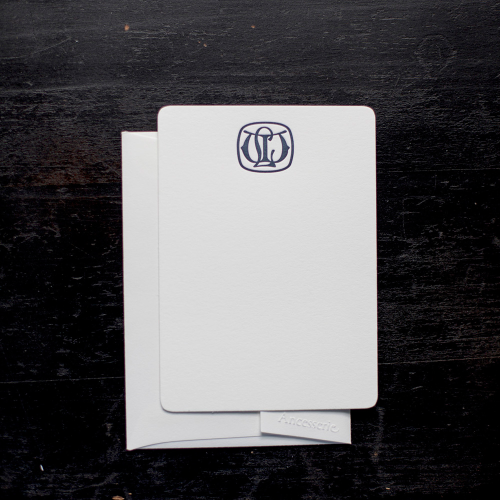 Contact us to help you create your own personalized note cards. 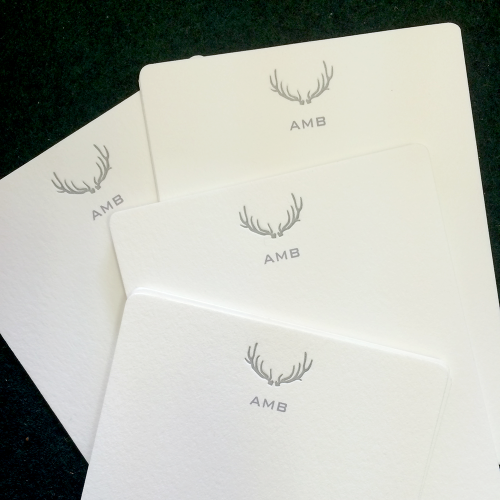 Our stunning Antler note cards, personalized for him or her! 100 custom, flat notes with matching square flap envelopes. 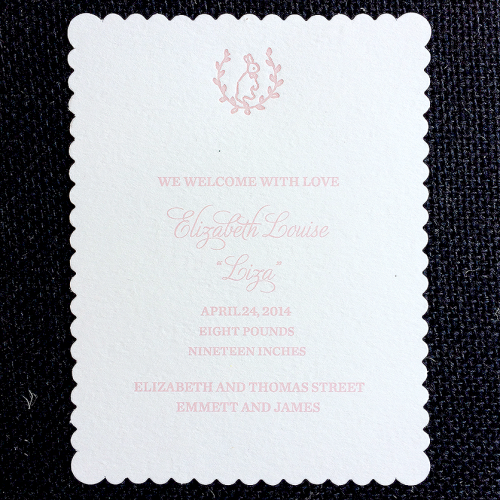 Size: 4 1/4″ x 5 1/2″ Each card individually printed on an antique letterpress using our luxurious, 100% cotton, 110 lb card stock in Pearl White or Ecru. *Before we proceed, an email of your note cards will be sent for Proof Approval. *Reorders do not include a plate-setup fee. 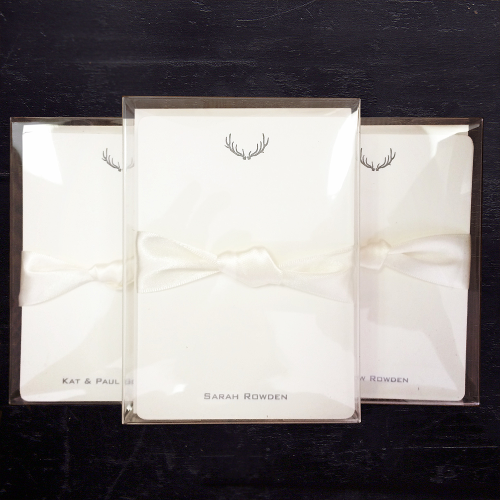 Our letterpress Antler Small Notes can be personalized for him or her! All we need is a name or initials. 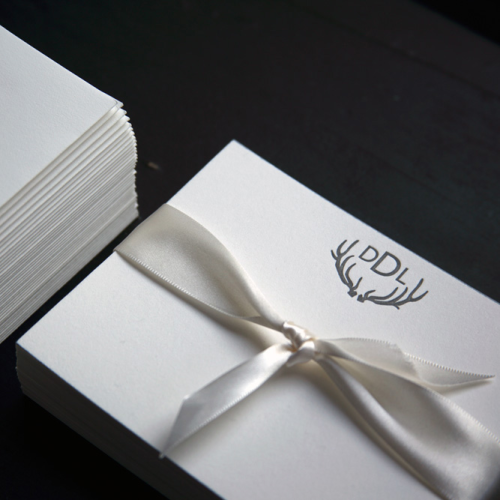 30 flat, Small Notes with matching square flap envelopes and a London Fog Gray letterpress Antler Motif. 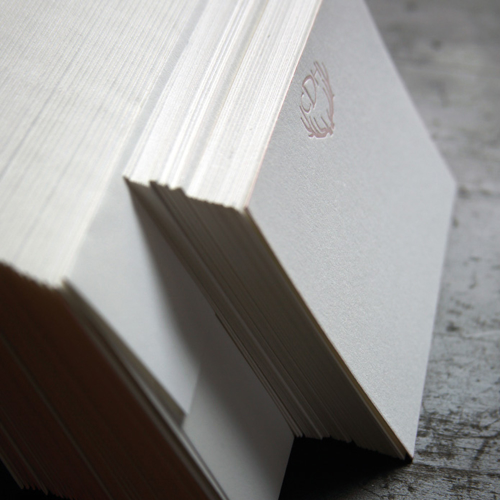 Each card individually printed on an antique letterpress using our luxurious, 100% cotton, 110 lb card stock in Pearl White. Flat Print personalization in matching Gray Ink.